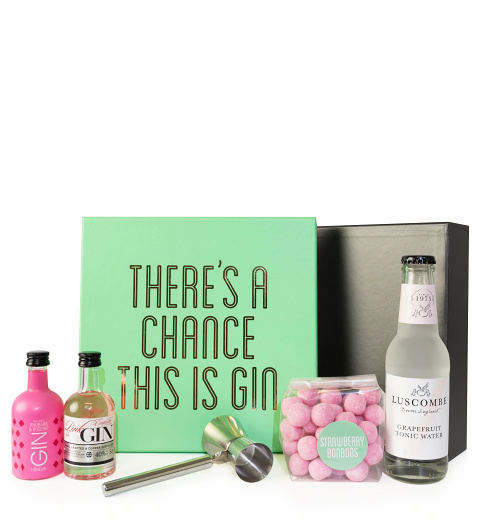 This fine gin gift includes a bottle of premium dry gin along with refreshing tonic water and delicious treats. Beautifully packaged, this is an excellent gift for birthdays, anniversaries, to express your appreciation, and all occasions. When shopping for a loved one, friend, or co-worker who loves gin, look no further than this gift! The English Drinks Company Pink Premium Dry Gin 5cl alc. 40% vol. Allergy Advice: This gift may not be suitable for customers with an allergy to milk, nuts and peanuts as some products were made in a factory which uses these ingredients.